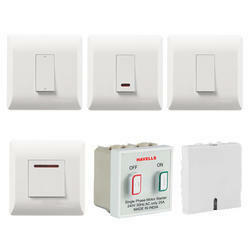 Leading Wholesaler of havells do not disturb modular switches, havells switches, havells electronic key card, havells pir sensor, havells plugs and havells power modular switches from Secunderabad. Owing to the efforts of our dedicated team of professionals, we have been constantly engaged in offering the best quality Havells Electronic Key Card. 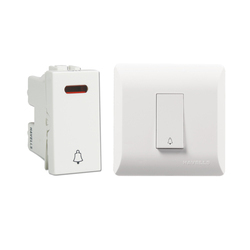 Owing to the efforts of our dedicated team of professionals, we have been constantly engaged in offering the best quality Havells PIR Sensor. Owing to the efforts of our dedicated team of professionals, we have been constantly engaged in offering the best quality Havells Plugs. Owing to the efforts of our dedicated team of professionals, we have been constantly engaged in offering the best quality Havells Power Unit. 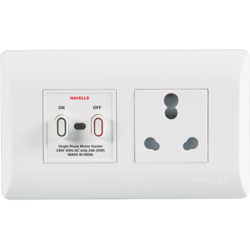 Owing to the efforts of our dedicated team of professionals, we have been constantly engaged in offering the best quality Havells USB Charger. 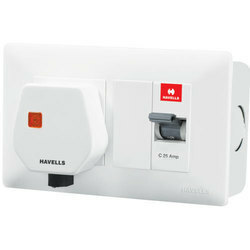 Owing to the efforts of our dedicated team of professionals, we have been constantly engaged in offering the best quality Havells Sockets. 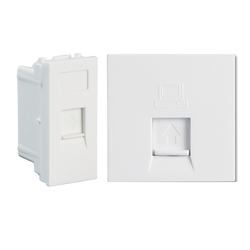 Owing to the efforts of our dedicated team of professionals, we have been constantly engaged in offering the best quality Havells RJ-45 Jack with Category 6. Earth Leakage Relays with Core Balance Current Transformer (CBCT) are used to detect leakage currents in electrical power systems. ELR transmits a signal to activate the trip coil of the MCCB/ACB/OCB/CONTACTOR in the event of earth leakage, resulting in the automatic isolation of the load. ELR has been widely used and accepted because of field adaptability and is economic. 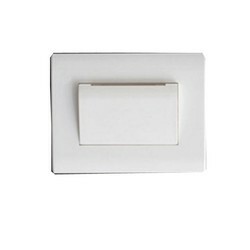 Owing to the efforts of our dedicated team of professionals, we have been constantly engaged in offering the best quality Havells Foot Lamp Grids. 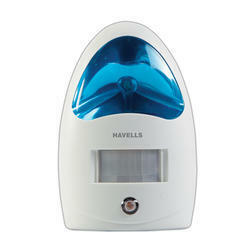 Owing to the efforts of our dedicated team of professionals, we have been constantly engaged in offering the best quality Havells Indicator Lamps. Owing to the efforts of our dedicated team of professionals, we have been constantly engaged in offering the best quality Havells Bell Pushes. Owing to the efforts of our dedicated team of professionals, we have been constantly engaged in offering the best quality Havells Electronic key tags. 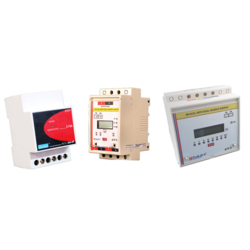 Prok Devices Private Limited a ISO 9001-2008 Certified Company established in the year 1991, set up by four highly motivated & experienced professionals in the field of electrical and electronic engineering. With over eight years of experience in Manufacturing, Quality Control & Inspection / Testing & Calibration / Design & Development / Sales & Marketing, the company backed with technical abilities of electrical engineers. Prok Devices ear marked itself as a blue-chip company in Indian & global business scenario within a decade of its establishment. 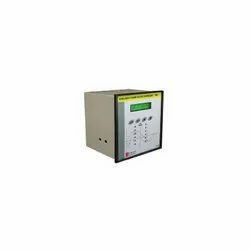 Typically used for Feeder/Distributor control panel and Generator control panels. 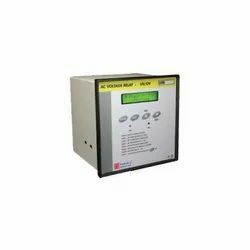 Wide Auxiliary voltage range from 85 - 275 V AC/DC. 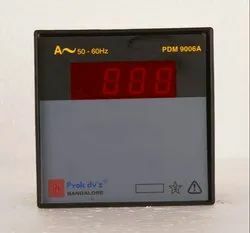 Prok dv's make Digital Microcontroller based Intelligent Automatic Power Factor Controller/Regulator/Correction Relay (APFCR) with on-line monitoring of line PF through industrial grade back-lit LCD Display. 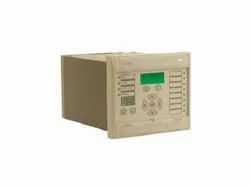 The Unit uses one of the tried and time tested intelligent algorithms to switch the capacity or banks, in a most optimum combination in a shortest time for any dynamic load conditions without the need to select the complicated switching sequences by the user. 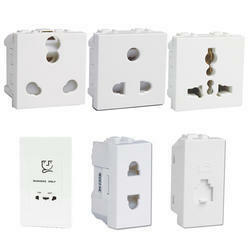 Application wherever energy conservation is vital. PDTPR series offers a multifunctional comprehensive smart protection solution for Feeder, Generator, Motor & Transformer segment. 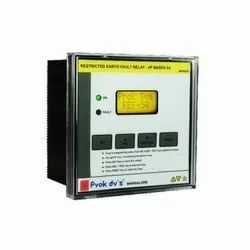 Prok Dvs an ISO 9001:2008 Company indigenously develops the power system protection relays and panel meters for power system. 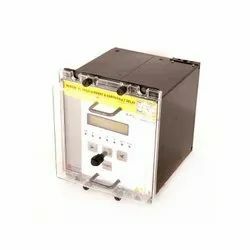 μP based Zero sequence voltage relays are the state of the art design, to monitor and protect the costly equipments against unbalance voltages. 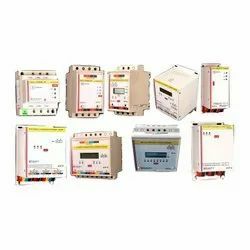 The Relay Continuously monitoring all the three phase Line to Line Voltages, if any abnormal condition persists in the system internal Relay activated with predetermined set value of definite time. 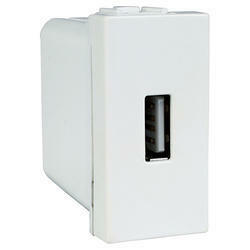 The Unit Displays Line to Line Voltages on LCD display, Healthy and Fault /Trip status Information through LED Display. 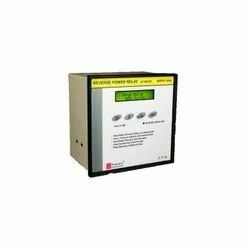 Accurate and reliable measurement .of residual voltage. 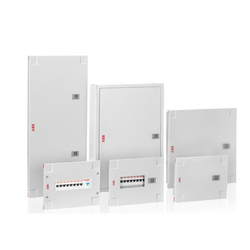 Industrial Rugged design in Din rail mounting as well as Panel Mounting. Healthy, Trip Status provided through LED visual indications. 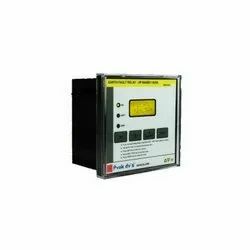 The PAR type auxiliary relay are voltage operated relays mainly used in control and alarm circuits.PAR series of relay are available in two basic models PAR-H and PAR-S. Auxiliary relay CAR-H is provided with hand reset contacts. CAR-S is self reset type. 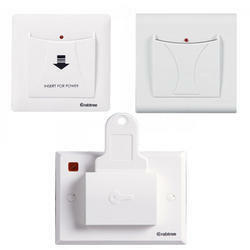 PAR series of relays are available in 2-elements & 3- elements model. 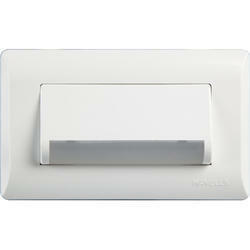 Each element can be energized separately. Main functions are autonomous function groups and can be individually configured or disabled to suit a particular application. Function groups that are not required and have been disabled by the user are masked completely (except for the configuration parameter) and functional support is withdrawn from such groups. This concept permits an extensive scope of functions and universal application of the device in a single design version, while at the same time providing for a clear and straight-forward setting procedure and adaptation to the protection and control task under consideration. 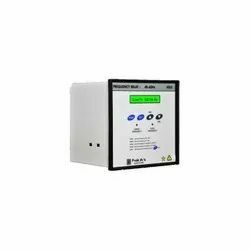 The MiCOM P14x range is suitable for all applications where overcurrent protection is required. 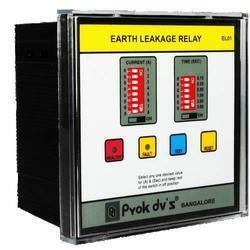 It is suitable for solidly earthed, impedance earthed, Petersen coil earthed and isolated systems. First application shows a parallel transformer protection where the P141 replaces many of the discrete protection elements normally associated with the LV side of the transformer. 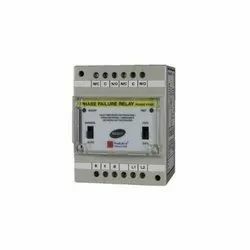 The protection includes nondirectional and directional phase overcurrent and earth fault, restricted earth fault and circuit breaker failure protection. 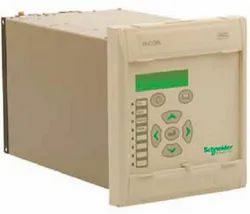 The second application shows a P143 protecting a plain feeder using phase overcurrent, sensitive earth fault, negative sequence overcurrent, thermal protection and breaker failure protection. The integral autorecloser with check synchronising can be configured to grade with downstream reclosers. In the three boxes mode, the units are totally independent and not linked to each other. 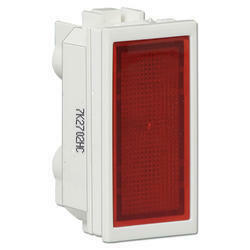 • 2 VTs, up to 36 CTs, 36 Breakers and 72 isolators with the Dual Three boxes mode solution.